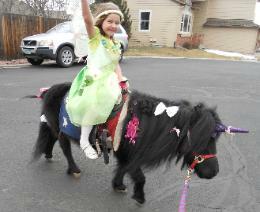 Yes, miniature pony rides and cart rides at your front door! Imagine how excited your child will be to see that their wish had come true! A pony at your home! 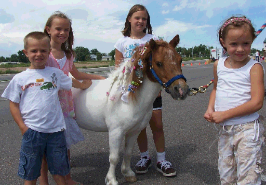 The kids can have fun brushing, braiding, petting and even fixing the ponies up with pretty ribbons and bows! 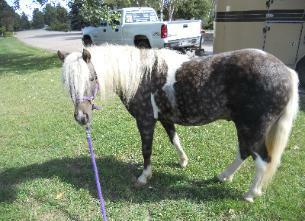 PLUS- a real live “MY PRETTY PONY”! 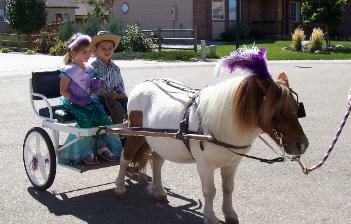 We can bring the miniature ponies for brushing and petting as well as giving pony cart rides for adults and children alike. Combine with petting zoo to entertain a larger group. We are just 10 minutes North of Old Town Fort Collins. We have experience setting up on school lawns and educating children about animals, providing animals to Vacation Bible School programs and nativity scenes, giving pony cart and horse rides at Community Carnivals and helping our youth with local fund-raising events. Let us make your event one-of-a-kind! Field trips to our farm are fun and educational. 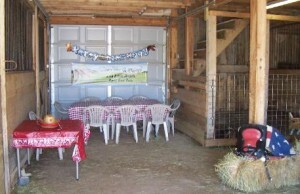 We’ll provide the animals, feed, cute barn setup, and games — it’s a special gift for the birthday child! Enjoy the BARN experience and feed Petting Zoo Animals, See horses, spend hands-on time with all the barn animals (donkeys, goats, lambs, rabbits and ponies), do fun cowboy activities, and play stick horse barrel race game! Pay half of your party at time of booking to reserve your spot. Balance due day of party. Call and book your farm party, mobile petting zoo, or field trip today!